Too Faced Born This Way Naturally Radiant Concealer Review! 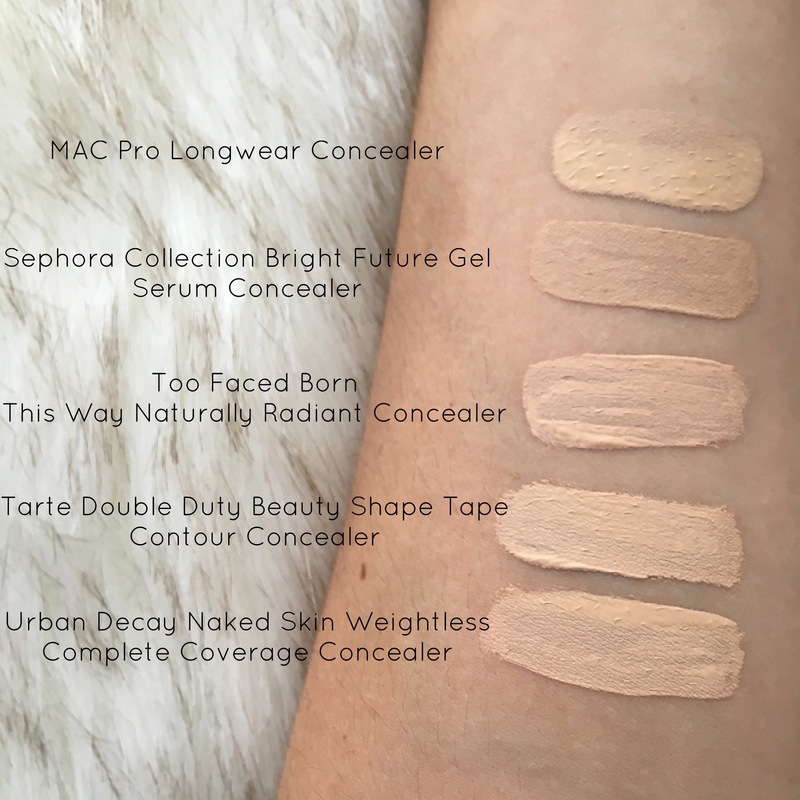 As a concealer junkie, I’m always trying to find the best and brightest product to put under my unsightly dark circles. Just to give you some insight into the exciting world of my under eyes, they are puffy, discolored and have fine lines; attractive! 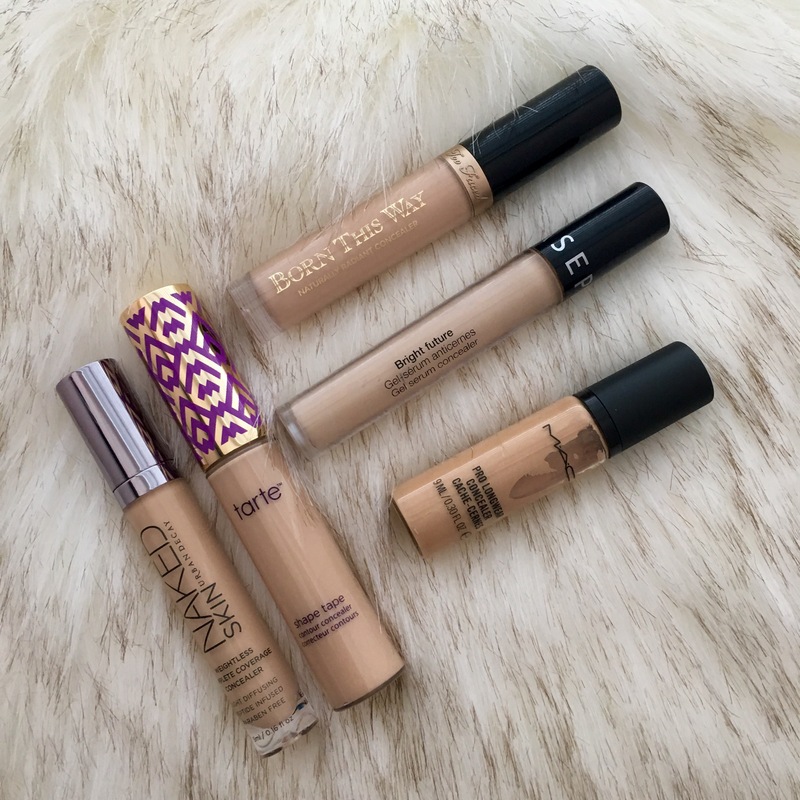 So when I’m researching new concealers, I not only look for one that has the ability to cover, but also brighten and moisturize. 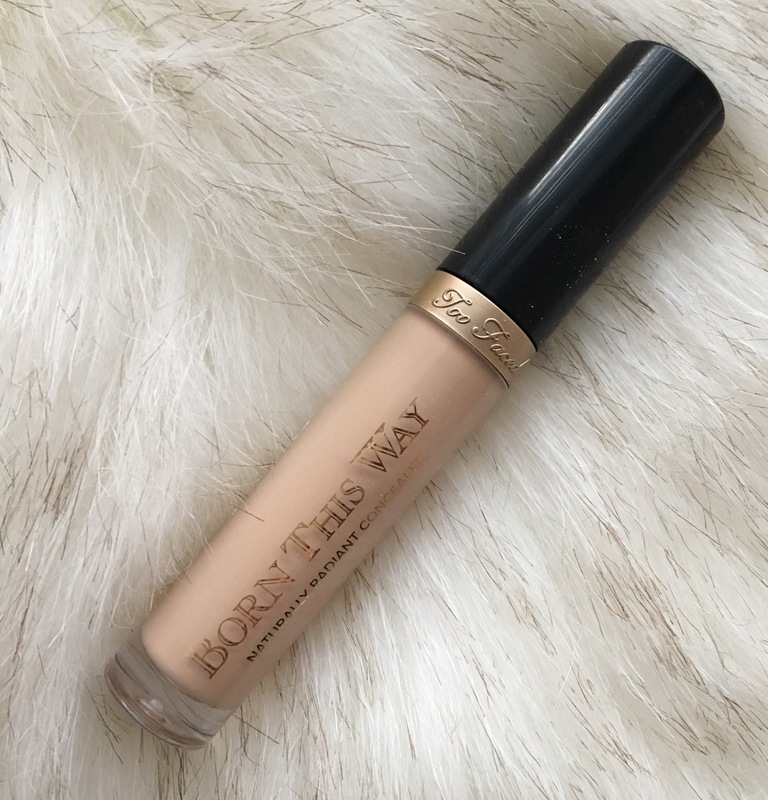 After reading the description of the new, “Too Faced Born This Way Naturally Radiant Concealer,” I knew I had to have it! Take a look at the main ingredients, “coconut water, alpine rose and hyaluronic acid” are formulated to hydrate, promote youthful elasticity and last for a long time once applied to the skin. It is in the high-end price range at $28, but once you read the many benefits of using this product, it is worth it to receive a skincare treatment and essential makeup item all in one! I think it’s also important to mention that this product is oil-free, so when you’re using it on existing blemishes or if you just have sensitive skin, rest assure that this won’t do any damage! So as you can see in the first photo, my under-eye area looks puffy and dark. Not a great overall look. You can’t really tell in the photo, but I also have some serious fine lines underneath there too. I’m not sure if it’s just because I do have dry skin or if I’m just rapidly aging only in my eye area; either or. Once I applied the Naturally Radiant Concealer, I could definitely see that the “Light” shade was maybe too brightening, but decided to roll with it any blend out anyways with my Beauty Blender sponge. Within seconds, this product began creasing and settling into my lines. 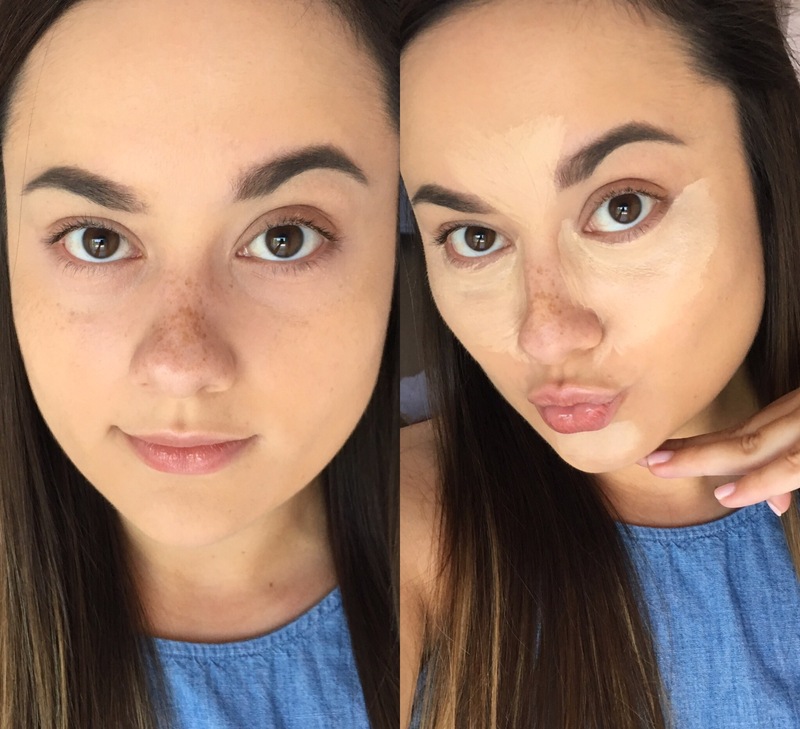 Although initially discouraged, this happens to me A LOT with pretty much every concealer and I do have strategies to make it work. If you’re noticing that even after you’ve blended your concealer, it still is creasing, take your ring finger (it applied the least amount of pressure) and gently tap on the creased areas and it will remove that excess product, without disrupting your existing makeup. Once I blended this product out, I could tell it was a situation that I needed to set with powder immediately in order to prevent further creasing! I used the NYX HD setting powder in the shade “Banana,” which also additionally brightened up this area! Once set, I thought this concealer looked absolutely beautiful! 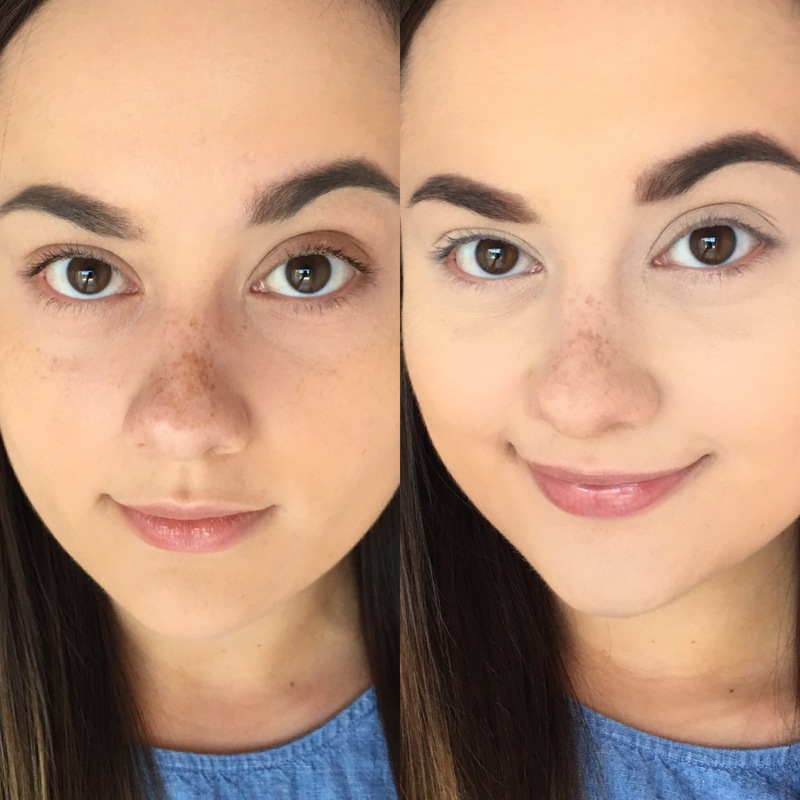 After a few hours, I was absolutely impressed that my fine lines were still concealed and my under eye area felt super hydrated and soft! This continued on throughout the day as well! I was very excited that the concealer stayed true-to-color and didn’t fade or oxidize darker throughout the wear time. I am in love with this product after using it for a couple weeks. I love it for natural looks and I love it for full glam makeup. I find it does have a radiance property to the formula, hence the name! This product blends seamlessly into the skin, making it perfect for those “no-makeup-makeup-looks.” I think this product is going to perform well for any skin type, but especially those with drier skin! I know for me personally, it really hydrated all day long and kept this area plump and youthful looking. What new products are you currently loving? Let me know in the comments below! Thank you so much for reading!